Whether it’s walking from the driveway to the front door or spending time in the backyard, a well-lit path is essential for avoiding stubbed toes or (as in the case of my folks’ West-Texas life) stepping on snakes. Country-life or city-life, lighting the walkways in your life is difficult. There is no simple cheat for planning lighting since every home has different circumstances. If you want the up-and-up on path lighting, we’re down with helping you get the low-down on lighting any run from left to right. By the end of this article, you’ll be left with the right knowledge for lighting point A to point B no matter where you start from. Your landscape has, hopefully, been designed to be attractive to the eye while guiding people to where they need to go. By night, these carefully designed walkways and beautiful hot-spots disappear into the dark. Careful illumination is the key to restoring that direction and beauty. You want to avoid bathing everything in light. So, as is common in many industries today, follow the rule of “less is more.” Build with the three layers of lighting (ambient, task, and accent) but give special consideration to task lighting, since misapplication can lead to injury or misdirection in the dark. Task lighting is the most important aspect of path lighting. Your goal is to move people from one place to another safely. This means providing light to clearly show the path, highlight any dangerous obstacles (turns, uneven surfaces, or steps), and reveal destination points. Consider your pathway lamps to be stepping stones of light. Don’t bundle them together too closely, and don’t place them so far apart that you leave gaps of darkness along the road. Be mindful of glare, and avoid using any lamps that shine upward, into the eyes of pedestrians. As for ambient and accent lighting, ambient lights should be used to illuminate destination points. Keep the beginning and end points of your pathway well-lit using sconces near the door, or even a flood light at the car port. Use accents lights for areas that don’t require illumination but would benefit from some form of marker, such as parking guide-lights in a driveway. Here’s a brief example of lighting for path-progression. You pull up to your house at night. As you turn the car into the drive, small strip lights in the pavement clearly mark a good place to leave your car. As you step out of the car, the drive-way flood light fills the carport with ambient light for safety. Before you is a small stone path leading up to the porch. At each bend in the path there is a very small lamp, hooded to cast its light onto the stones only. Halfway along the path is a beautiful flowerbed that’s illuminated with ambient light spilling onto the walk. It functions as both an attention hotspot, and task lighting for your walk home. You walk along the path, finally reaching the stairs. Each step has a small light to illuminate where the tread of each step is. As you step onto the porch, two sconces on either side of the door automatically light up, bathing you and the porch in a soft yellow glow. As you can see, from start to finish, all three layers worked together to safely guide you from point A to point B. It's all about showing the way! Use warm color temperatures. Any temperature under 3100K is a good choice for pathway lighting. Earth-tone pathways (wood, stone, dirt) will look unnatural under cooler color temperatures. Use automatic controllers and dimmers to adjust for how much lighting is actually needed and to keep lights off when not in use. LEDs and low voltage lighting are best. 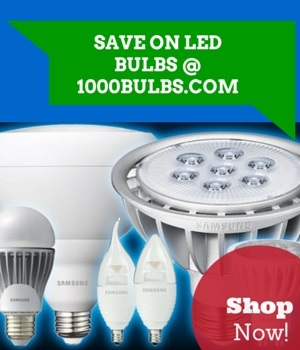 LEDs will last longer and will use less energy over time. Low voltage lighting uses wires and cabling that pose no risk to yard workers or children. Avoid excess light pollution. Focus your lights down and illuminate by reflection. This helps to reduce overall light pollution from cities and will help to keep our night skies beautiful. Path lighting is fairly easy to master. Simply point the way using lights aimed onto or built directly into a path. Remember to keep light only where you need it. The goal is not to illuminate everything in your yard, but to guide and keep people safe as they walk. As always, if you’ve any further questions, ask away in the comments or through our social media on Facebook, Twitter, Google Plus, LinkedIn, Pinterest, or Instagram. And don’t forget to follow us so you can stay up to date on tips and news! Header and path images are used courtesy of Tyler.